You can create individual pages within your form. This is especially helpful if you have to design a long and complex form template. 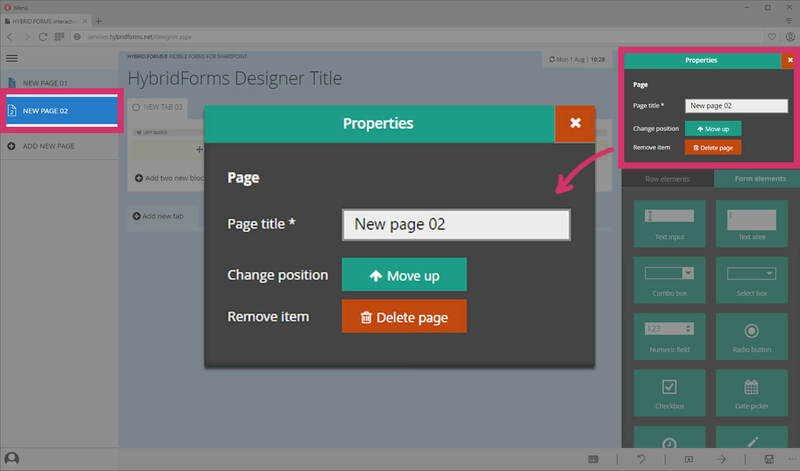 Use the pages function to show content that belongs together on one page – for better usability and overview. 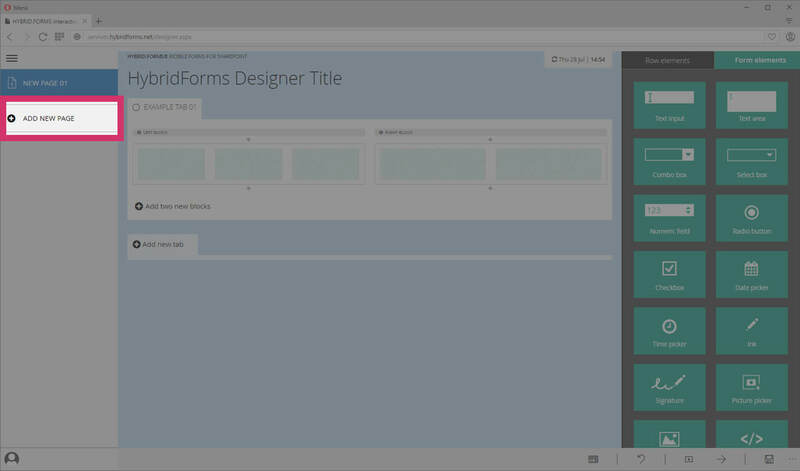 When loading the HybridForms Designer, a single page is already set up by default. To keep it organized, a maximum amount of 7 pages is allowed for each form template. When you narrow your browser window, the pages menu on the left hand side will collapse. Then the page numbers are still visible, but no page titles. Note: A click on the »hamburger menu« on the top left side will open the pages section and show the page titles. Click on the Button [ADD NEW PAGE] to create a new page. First, click on the page you want to rename. Note: The active page is always shown in a darker blue than the other ones. Then the properties area of this page opens on the right hand side of your browser window. It shows the actual title. Go on by typing in a new title text. Finally, click elsewhere on the form. The new title will be set for this page. Change position: Pages can also be moved up and down. Click the respective button in the properties area to change the position. Click on the red button [Delete page] to remove pages that are no longer needed. But be careful: Once deleted, the content cannot be restored! HybridForms is a brand by icomedias – and the result of more than 20 years of experience in design, document management and usability. 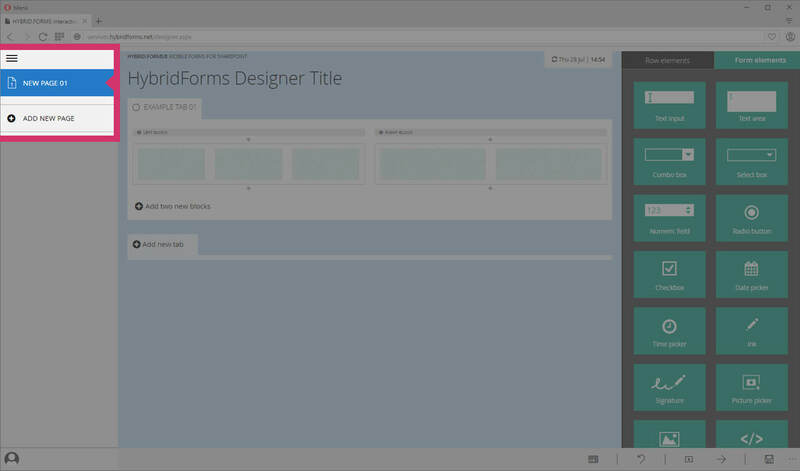 HybridForms is a mobile and cross-platform form solution for Android, iOS, Windows 10, Web and SharePoint Server or Office 365. 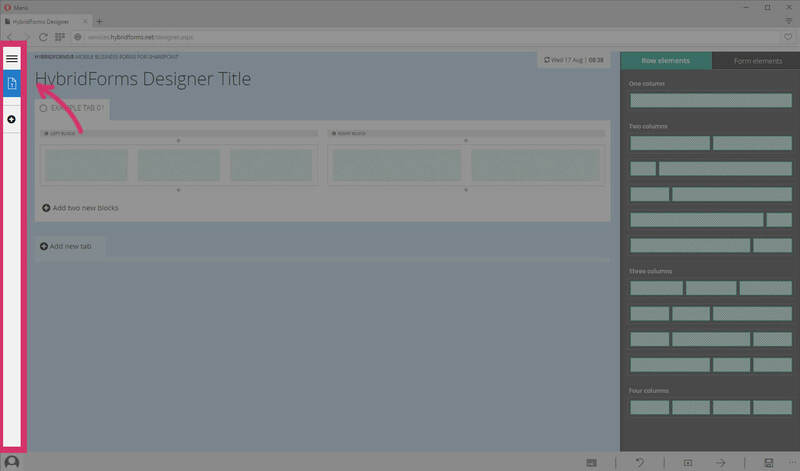 Create your own custom form templates, pre-populate form fields with automation, capture data on-site, validate and analyze input in real-time. With offline data sync, annotated images and authentic biometric signatures. Stay informed – our newsletter is published once a month.